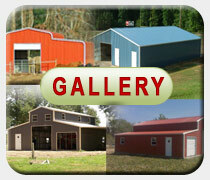 Are you looking for the perfect metal horse barn? Let the professionals at Coast To Coast Carports help you design and build the perfect horse barn for you. Our metal barns are beautifully constructed and designed and will be the perfect accessory to complete the look of your property. We offer a variety of styles and types to choose from. We allow our customers to choose the roof style’ frame style’ color of their choice’ and choose from a variety of accessories and add-on features to complete their metal barn look. Not only can you customize the style’ type’ and color of your metal barn’ but each metal horse barn that we offer is installed and assembled by our team of professional builders. This way you can be assured that your metal barn will be very stable and durable and be able to withstand heavy winds’ rains’ snow’ and other elements and harmful debris. Don’t let the hot heat or freezing winter months wear down on your horse or other animals’ and valuable equipment. Protect them from the harms way and prolong their life and check out our metal horse barns that will look great on your property and last a lifetime. 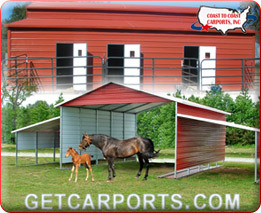 Coast To Coast Carports is the best solution that you will find for your customizable metal horse barn. We have excellent quality products’ an amazing team of professional installers’ and are located coast to coast. 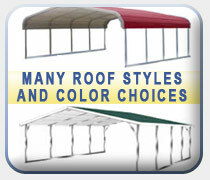 We are the leading carport manufacturers in this industry for a reason. We guarantee that you will love your new horse barn and be amazed with its quality and durability as it does its job of safely and securely protecting your animals and equipment. Find out why so many have already chosen to buy from us. We know you will enjoy working with our friendly staff and enjoy the process of choosing your metal barn. 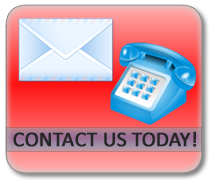 Give us a call today and receive your free’ no obligation quote and be on your way to buying and installing your new dream barn.